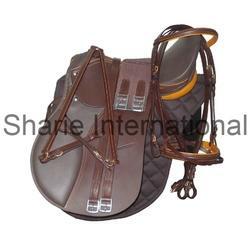 We are instrumental in manufacturing and exporting a precision designed array of Horse Saddles English Saddles, which are known for keeping the balance of the horse as well as the rider. Developed making use of finest grade and authentic soft leather, these are used for Olympic equestrian games and for events, show jumping, horse racing and polo. Depending upon the diverse requirements of the clients, these are offered with different cuts, in various colors and sizes. Moreover, the range can be availed in both minimal and heavy padded form. We are mainly looking for foreign queries. 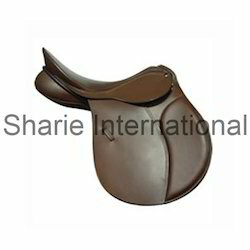 Size 15", 16", 17", 18"
In order to meet the variegated demands of the clients, we offer a wide assortment of Horse Riding Saddle in various sizes such as 15", 16", 17", 18" and colors like black, brown, London and tan. Further, backed by dexterous workforce and sound manufacturing facility, we are also capable in meeting even the voluminous demands of the clients within given time schedules. The Leather Polo Saddle, which we offer to our clients is precision designed so as to provide superior fastening to the back of the horse. Further, to ensure their attributes like light weight, excellent finish, high strength and long service life, these are designed and developed making use of superior grade Indian leather and sophisticated techniques. 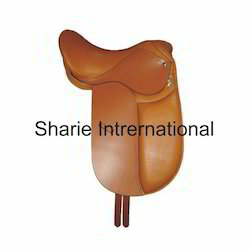 • Size Available: 15', 16", 17' and 18"
Our esteemed clients can avail from us a comprehensive assortment of Horse Saddle, which is designed in various designs and sizes to attain a perfect fit on the back of the horse of any breed. To ensure their durability and reliability, these saddles are specifically manufactured using finest grade Indian leather, sourced from reliable vendors. Size Available: 15',16",17' and 18"
Empowered by a team of highly skilled and experienced professionals, we have been able to manufacture and export precision designed array of Horse Riding Equipment. Our professionals ensure that the leather used during the manufacturing is of excellent quality and sourced from certified vendors of the industry. Packaging Details: As per buyer requirement. Our esteemed clients can avail from us a comprehensive assortment of Horse Saddle, which is designed in various designs and sizes to attain a perfect fit on the back of the horse of any breed. To ensure their durability and reliability, these are specifically manufactured using finest grade Indian leather, sourced from reliable vendors. Size Available: 15',16",17' and 18". 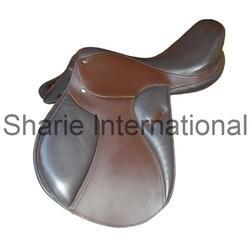 The Leather English Saddle, which we offer to our clients is precision designed so as to provide superior fastening to the back of the horse. Further, to ensure their attributes like light weight, excellent finish, high strength and long service life, these are designed and developed making use of superior grade Indian leather and sophisticated techniques. Size Available: 15', 16", 17' and 18"
The Horse racing Saddle, which we offer to our clients is precision designed so as to provide superior fastening to the back of the horse. 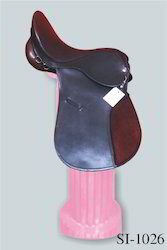 Further, to ensure their attributes like light weight, excellent finish, high strength and long service life, these Horse Racing Saddle are designed and developed making use of superior grade Indian leather and sophisticated techniques. 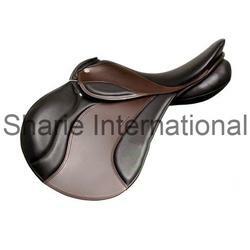 Backed by skilled workforce, we can manufacture and export Horse Close Contact Saddle with utmost precision as well as provide these with perfect finishing. Our professions ensure that the range is specifically manufactured using finest grade soft Indian leather, procured from prominent vendors. Available in black, brown, London and tan color, these are offered at cost effective prices. Our esteemed clients can avail from us a comprehensive assortment of Horse Saddle, which is designed in various designs and sizes to attain a perfect fit on the back of the horse of any breed. To ensure their durability and reliability, these Horse Riding Saddle are specifically manufactured using finest grade Indian leather, sourced from reliable vendors. 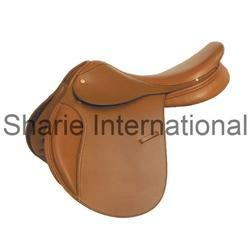 Our clients can avail from us light in weight and durable Paragon Saddle that is in huge demands in the national and international markets. These Horse Saddle are specifically designed and manufactured in strict compliance with the international quality standards so that clients receive products that offer value to their money. Without a compromise in quality, these can also be offered with utmost customization to meet the diverse demands and preferences of the clients. Our esteemed clients can avail from us a comprehensive assortment of Horse Saddle, which is designed in various designs and sizes to attain a perfect fit on the back of the horse of any breed. To ensure their durability and reliability, these Iceland Saddle are specifically manufactured using finest grade Indian leather, sourced from reliable vendors. 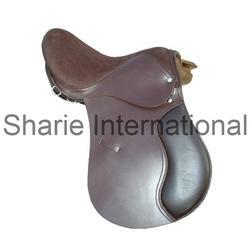 In our enormous assort of precisely designed Horse Equipment, we offer finest range of Close Contact Saddles. 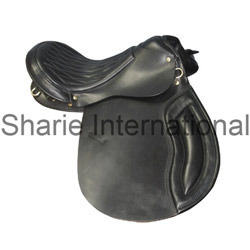 Made using high quality Indian leather, these saddles consist soft seat and knee pad which provide utmost comfort to the rider in different kinds of sports events. 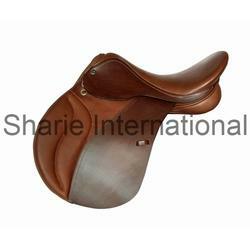 Offered at industry leading prices, these saddles can be availed in black, brown, London and tan color in sizes 15', 16", 17' and 18". Soft seat & double knee pad. 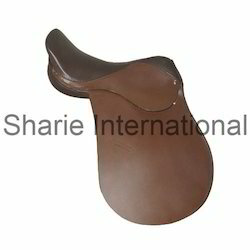 In our enormous assort of precisely designed Leather Close Contact Saddles, we offer finest range of Close Contact Saddles. 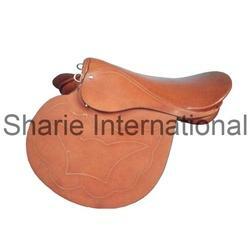 Made using high quality Indian leather, these Leather Close Contact Saddles consist soft seat and knee pad which provide utmost comfort to the rider in different kinds of sports events. 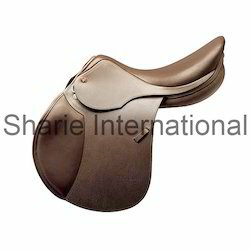 Offered at industry leading prices, these saddles can be availed in black, brown, London and tan color in sizes 15', 16", 17' and 18". Made with High Quality of Indian leather. Soft Seat & knee Pad. Made with High quality Indian leather . 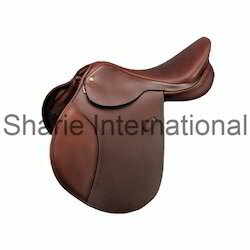 Made with High quality Indian leather, these range of our Dressage Saddle is widely appreciated and acclaimed for its elegant designs, excellent finish, intact stitching, high strength and various other attributes. 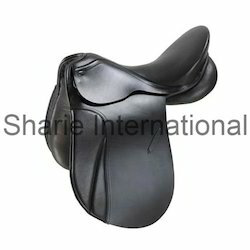 Designed with soft seat & knee pads, these Dressage Saddle can be availed in various sizes and colors to meet the preferences of the clients. Packaging Details: As per buyer requirements. 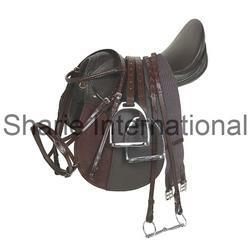 Owing to our rich industry experience and in-depth product knowledge, we are capable in designing and manufacturing a wide array of best in industry Leather Dressage Saddle. 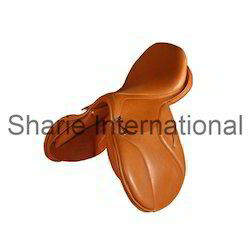 Making use of excellent grade leather and other material, these saddles are stringently manufactured as per the changing trends and quality benchmarks. Further, the range is checked on varied parameters to rule out even the minute possibility for any kind of defect. 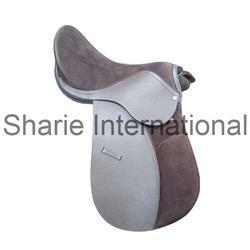 We are counted among one of the promising manufacturers and exporters of a comprehensive assortment of Horse Dressage Saddle. All the saddles that are offered under this range is specifically designed and manufactured using optimum quality leather in standard sizes so that it can perfectly fit on the back of the horse of different breeds and ages. Along with the soft seat, these Horse Dressage Saddle consist knee pads to offer utmost comfort and excellent hold during the sports events and rides. 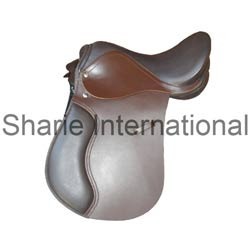 In our enormous assort of precisely designed Horse Equipment, we offer finest range of Close Contact Saddles.Made using high quality Indian leather, these saddles consist soft seat and knee pad which provide utmost comfort to the rider in different kinds of sports events. 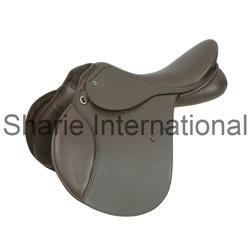 Offered at industry leading prices, these saddles can be availed in black, brown, London and tan color in sizes 15', 16", 17' and 18". 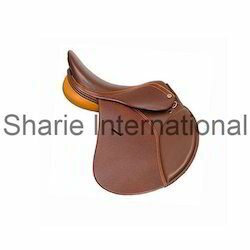 We are mainly interested in Foreign Inquiry..
We offer English Close Contact Saddle, which is designed and developed as per changing trends and industrial standards. Manufactured using superior quality leather, these are running high in demand in the market due to their flawless finish, elegant designs and long functional life. Moreover, we are also capable of meeting bulk as well as customized demands of the clients within given time frame. 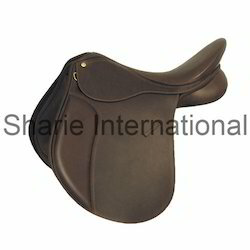 Available in black, brown, tan and London color, our range of English Saddle is offered to clients in various sizes such as 15', 16', 17" and 18'. 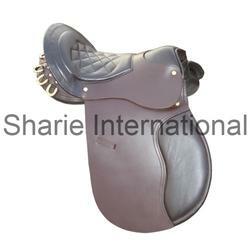 Manufactured with highly soft Indian leather in standard size to fit the back of the horse, these saddles can also be availed in custom designs based on the specification put forth by the clients. 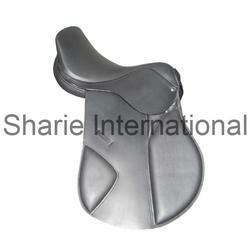 Designed in compliance with industry standards and changing market trends, these saddles are appreciated for following. 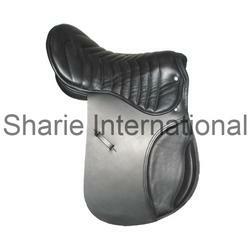 Our organization stands amidst the most renowned all purpose saddle manufacturers and exporters in India market. 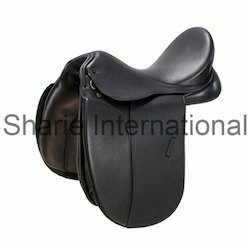 Light in weight and durable, our Horse Saddle are precisely manufactured using finest grade leather and advanced techniques. Further, the range is subjected to rigorous checks and tests to ensure delivery of only flawless products at client’s destination. 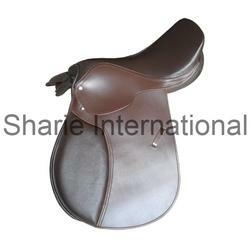 Our clients can avail from us light in weight and durable Paragon Saddle that is in huge demands in the national and international markets. 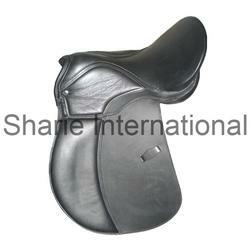 These saddles are specifically designed and manufactured in strict compliance with the international quality standards so that clients receive products that offer value to their money. Without a compromise in quality, these can also be offered with utmost customization to meet the diverse demands and preferences of the clients. Looking for Horse Saddles ?